Ace media personality Abdul Malik Kweku Baako, has reacted to the largest opposition party, National Democratic Congress (NDC) who seems not to agree with the nomination of the Special Prosecutor (SP), Mr. Martin Alamisi Burnes Kaiser Amidu, that he is the man for the job. 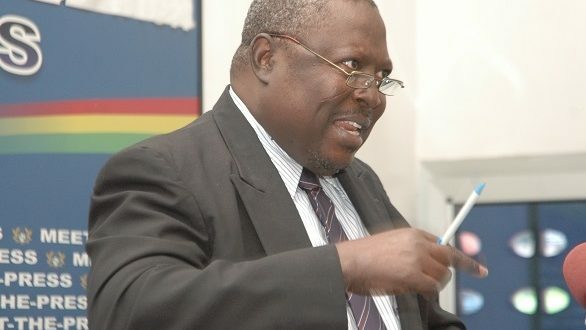 According to him, Mr. Amidu has indeed worked for his title ‘citizen vigilante’ which he holds in high esteem, of which some Ghanaians also hail him for. It is not for nothing that the Supreme Court of the land applauded him for the effort of fighting against corruption and therefore the NDC and the rest of Ghanaians should support his appointment. Some leading members of the largest opposition party in Ghana, the NDC, hold the view that even though they are not afraid of the Special Prosecutor, they believe he was appointed by the president to witch hunt members of the opposition. The office seeks to prevent corruption in the public sector, recover the proceeds of corruption and corruption-related offences, co-operate and coordinate with competent authorities and other relevant local and international agencies in the performance of its functions and restore public confidence in the delivery of justice and the government. Pursuant to section 13 (3) of the Office of the Special Prosecutor Act, Act 663, 2018, the president Nana Akufo Addo has appointed Mr. Martin Amidu as the SP to work as an independent body without the instruction of any superior body after his nomination by the Attorney General (AG). Under the Public Procument Act 203 Act 63 the SP is given the prosecutorial powers to prosecute alleged corruption cases against both public and private figures.